Bear River sophomore Brekyn Vasquez lobs the volleyball over the net during the second of five sets played against the Union Mine Diamondbacks. The Bear River Bruins boys volleyball team looks to get the ball back over the net during Tuesday's matchup against the Union Mine Diamondbacks. 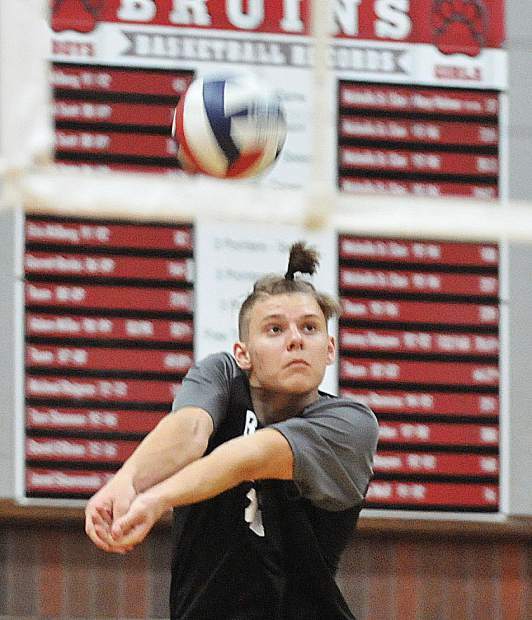 Bear River libero Tony Guerra can't stop a speeding volleyball sent from a Union Mine serve during Tuesday's PVL league loss to the Diamondbacks. 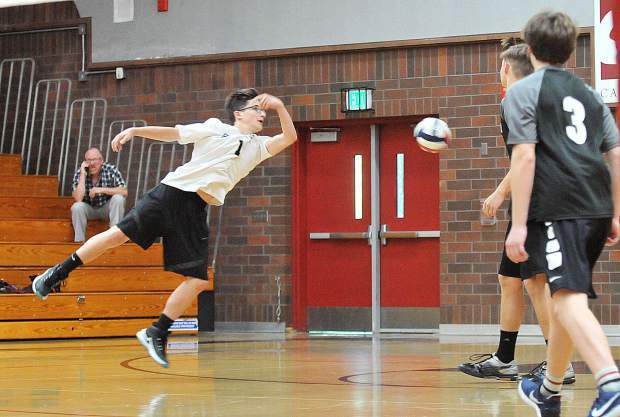 Bear River freshman Jace Rath bumps the ball during Tuesday's PVL league loss to the Union Mine Diamondbacks. 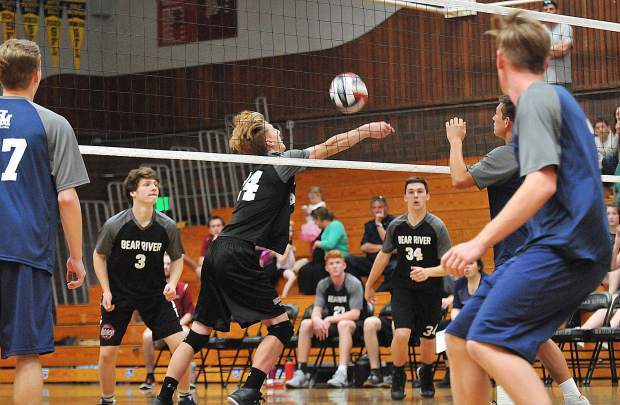 Leading 2-0, the playoffs were well within reach for the Bear River boys volleyball team. 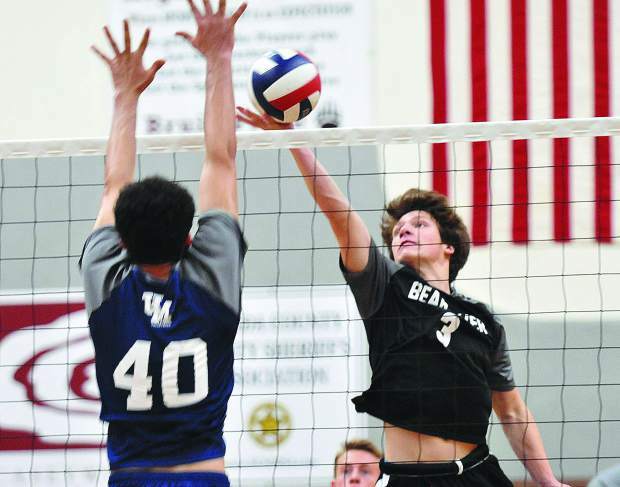 Competing in a pivotal Sierra Valley Conference League bout against Union Mine Tuesday evening at Jack R. McCrory Gymnasium the Bruins had everything working early on. However, the Diamondbacks had other plans and roared back to win three straight sets to seal a postseason berth, 19-25, 21-25, 25-14, 25-18, 15-9. 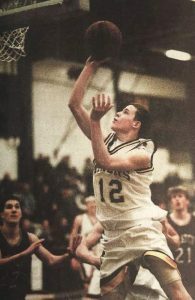 Bear River overcame early deficits in both its first and second set victories before dominating down the stretch. 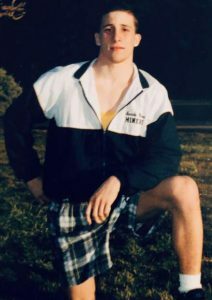 Yet, once the third set got underway the Bruins never saw a lead again. 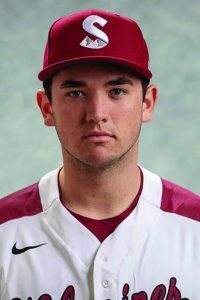 The Diamondbacks found their stride, capitalized on Bruin blunders and rallied with ease, quickly opening large leads. Freshman Jace Rath led the team with 16 kills and five blocks. Freshman Weston Prosser tossed up 39 assists. Junior Noah Skowronski swatted down eight kills, followed by sophomore Brad Smith with seven kills and senior Trevor Chandler with five kills and nine blocks. 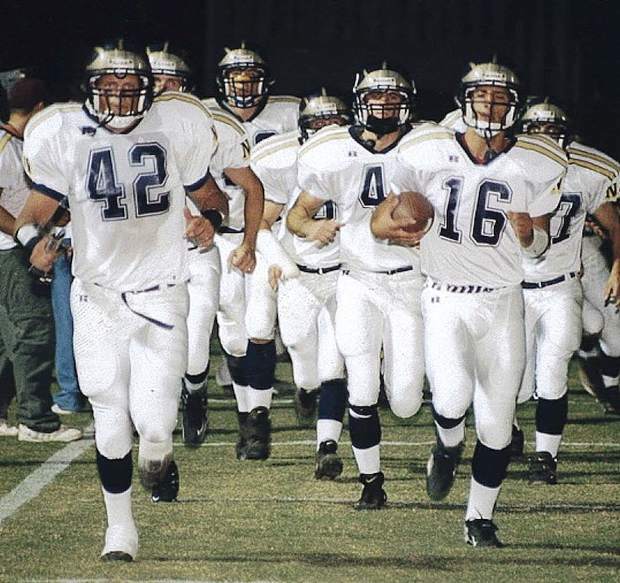 A victory would have moved Bear River into a tie for third place with Union Mine and potentially set up a head-to-head play-in game for the postseason. Next up Bear River (8-5, 5-5 SVCL) travels to take on Lincoln Thursday and ends its season back at home on Tuesday for Senior Night versus Placer.